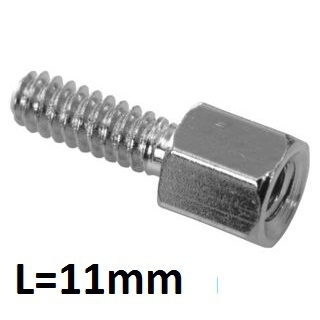 Hexagonal Lock Screws for D-Sub L=11mm (4-40UNC) | DamenCNC B.V.
Hexagonal lock screws are often used in D-SUB connectors. We have severale different lengths available. 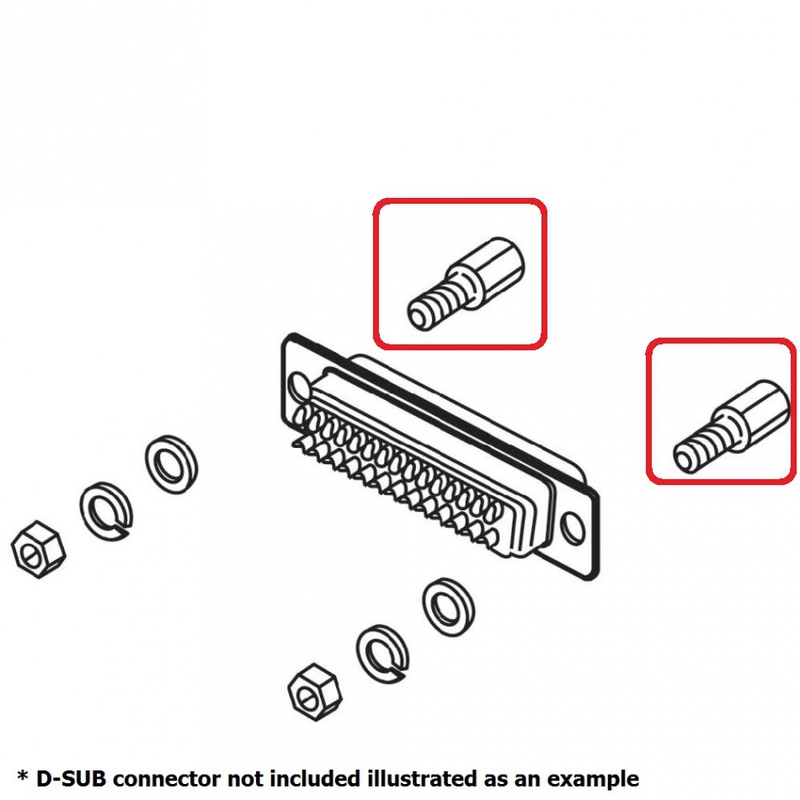 It depends on the connector or PCB mount, what the length of the thread should be. Thats why we have several lengths in stock. 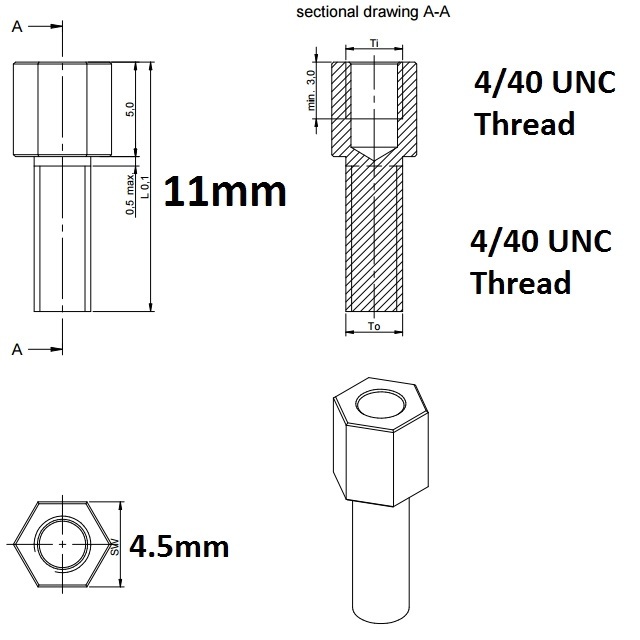 Most common is to have the 4-40UNC thread. On request we can also get the M3 thread.